Five ISR faculty are part of the effort: Professor Shihab Shamma (ECE/ISR); Professor Jonathan Simon (ECE/Biology/ISR); ISR Research Scientist Jonathan Fritz; ISR Associate Research Scientist Didier Depireux and ISR-affiliated Professor Patrick Kanold (Biology). The five-year, multidisciplinary research project will combine expertise from the College of Behavioral and Social Sciences; the A. James Clark School of Engineering; the College of Computer, Mathematical, and Natural Sciences; and the Center for Advanced Study of Language. All of the team members also are affiliated with the university's cross-disciplinary, multiple-college Brain and Behavior Initiative. "Cross-disciplinary collaboration, by its nature, allows researchers to develop creative solutions to the multifaceted grand challenges facing society today,” said UMD Vice President for Research Laurie E. Locascio. “This results of this research have the potential to positively affect the lives of so many people, and exemplifies the University of Maryland’s mission to perform rigorous scientific research with transformative impact." An examination of whether neurons in the auditory cortex of the brain can be reorganized through specific training exercises. 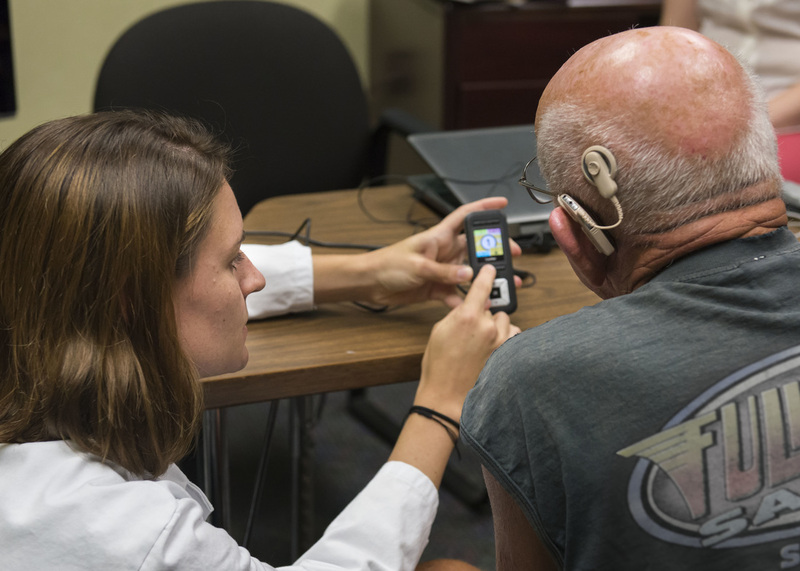 An assessment of the effectiveness of focused strategies in helping people process acoustic signals, including rapid speech—a common obstacle for senior citizens. Combining cutting-edge neuroimaging techniques—such as non-invasive magnetoencephalography (MEG) and pupilometry—to measure the brain’s ability to form new neural connections following auditory and behavioral training. These techniques will reveal the specific ways that training alters the connections between different regions of the brain.